John’s big break professionally came in 1975 when he was hired as an electrical engineer by the Boeing company. This allowed him to move his family back to Washington where he was closer to his parents who were living in Chewelah. John married his wife Lynda in 1986. Together they built their home in Gig Harbor, Washington. Together they enjoyed travel and took a number of trips together. John was very successful at Boeing, achieving the position of technical fellow before his retirement in 2001. 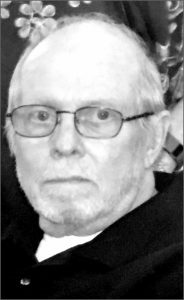 John enjoyed being on the water and owned several boats in his life, enjoying fishing, sailing and waterskiing. Landscaping was also a passion. He was never afraid of working in the dirt (probably as a result of his farming roots), and practically planted a whole forest-worth of trees in his lifetime. He was always up for a game of chess and won more than he lost. John is survived by his wife Lynda Brooks; Siblings Joyce Brooks, Carol Brooks, Carmi Brooks. Children John S. Brooks, Heather Denton (Brooks), Mark Bassen, Griffen Bassen and Jami Cupiccia (Bassen); As well as sons and daughters in law, 12 grandchildren and many nieces and nephews. A memorial service is planned for 1 p.m. on February 2, 2019 at Chapel Hill Presbyterian Church in Gig Harbor, Washington.